released “Franchise 500®” ranking for 2017.
brand’s footprint in Detroit, Kansas City, Milwaukee and Salt Lake City. new Brand President, Angela Jaskolski. stubborn hair during body waxing. including the initial franchise fee for new franchisees. 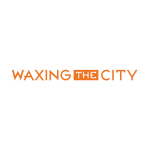 Waxing The City is setting the bar for excellence and innovation. tried-and-true franchise support systems to Waxing The City franchisees. Company executives expect to have 350 locations open by the end of 2018.